I've been rewatching Good Will Hunting - one of my favorite movies. To see Robin Willams again! Jeremy saw Dave this morning in Minnesota. Dave is doing some big data thing with health insurance companies. Dave told me once that the most common billing tags are vaccines and his favorite least common billing tag was something like being pecked by a chicken. I'm like - there is a tag for that? He said yeah - it got used once last year. 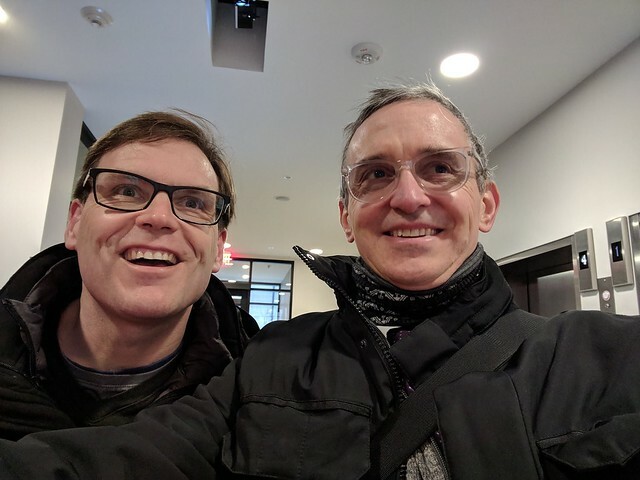 Jeremy thinks we should open a health data company with Dave - Jeremy the idea guy, I'd bring in the nursing component and Dave would do all the programming and data stuff. That sounds like too much work. Edda was so happy today! Just laughing and laughing at dinner. It's been a while since she's been like that. I think her blistered toe is finally better. With Jeremy gone, we've been having communal dinners to keep each other company - in many ways fun and easy. Kitachi, Edda, Vince, me, Ning, Brian, Brian's mom Kathy and baby Noah. And I guess Maxi also. I ordered Chinese last night. Brian cooked tonight - spaghetti and meatballs. There are many things I miss by working so much. There are many people who say - oh! you can have it all and I have a lot of it, but what fades away the quickest when you are busy paying attention to other things are your existing relationships. I can always outsource many things - cleaning the house, watching the kids, cooking, walking the dog, etc. But you can't really outsource being friends with a person. I miss my friends that I used to talk to on a daily, weekly, etc. basis. These are relationships I've built up over half decades & decades. It takes (lazy) time to be friends and I can't do that now. I have new relationships at work, it's true, and I do value those, but all my old ones are suffering. I don't have a huge circle of friends, but I want to have a handful of close friends. I promise them all it's only a season, but it's causing me to be somewhat unhappy. There is so much value in having a friend who knows what you did yesterday and what you'll do tomorrow and just what is going on where the conversation isn't one big huge catch-up. Sigh.